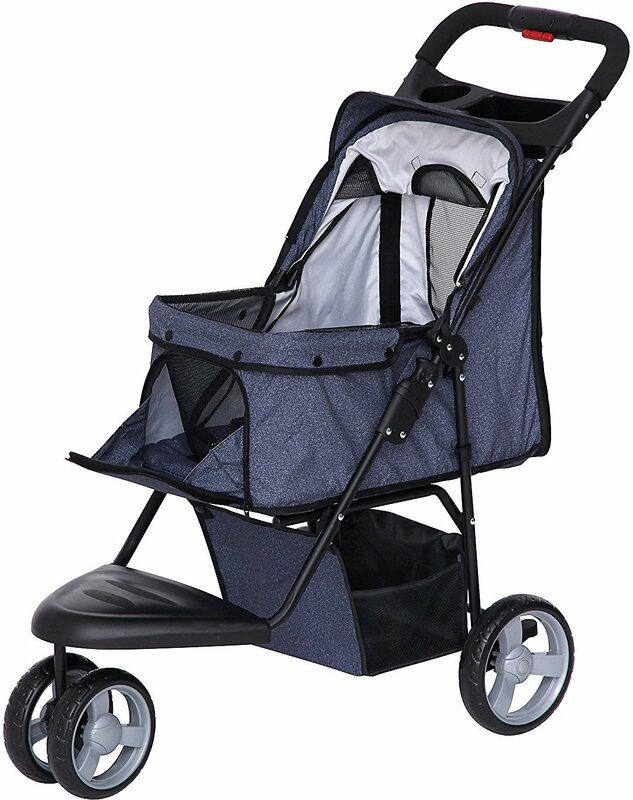 Keep your pal comfy when you’re out and about with the IRIS 3-wheel folding stroller. 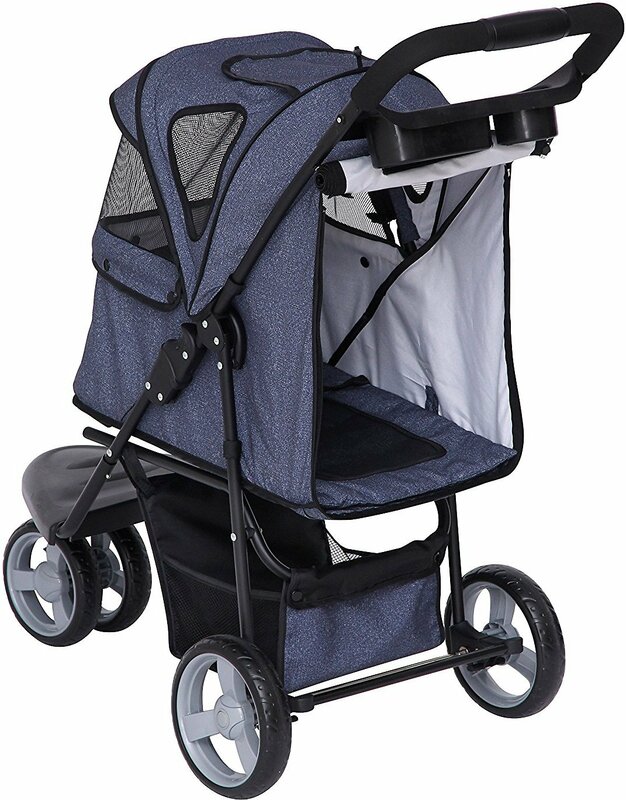 It features a zippered retractable canopy to keep your pal protected from the wind, sun and rain, and plenty of mesh windows to keep him fresh and cool. Featuring front or back entrance, it has undercarriage storage for doggy essentials like treats, poop bags and water bowls. 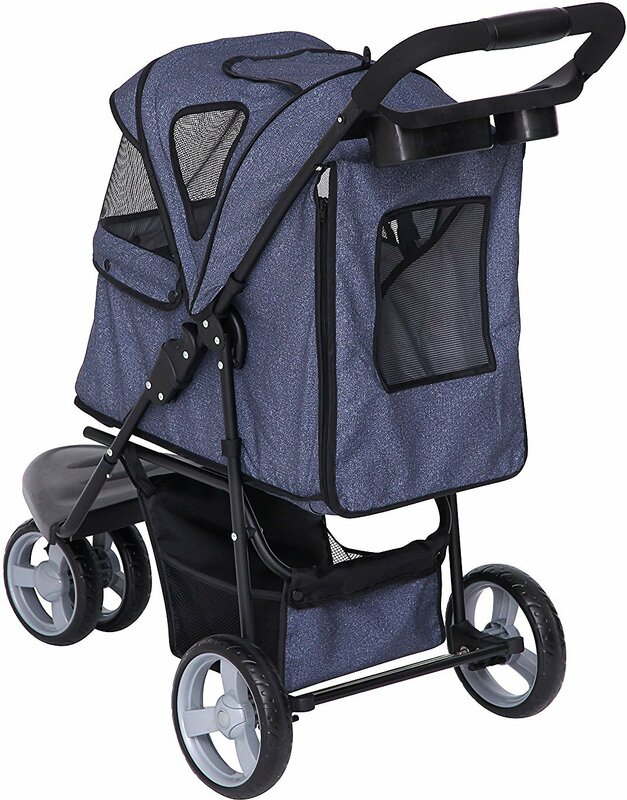 The three-wheel design keeps your pet’s ride smooth and includes parking brakes, so you can take a breather when you need to. And when you get home it’s easily collapsible for no-hassle storage. 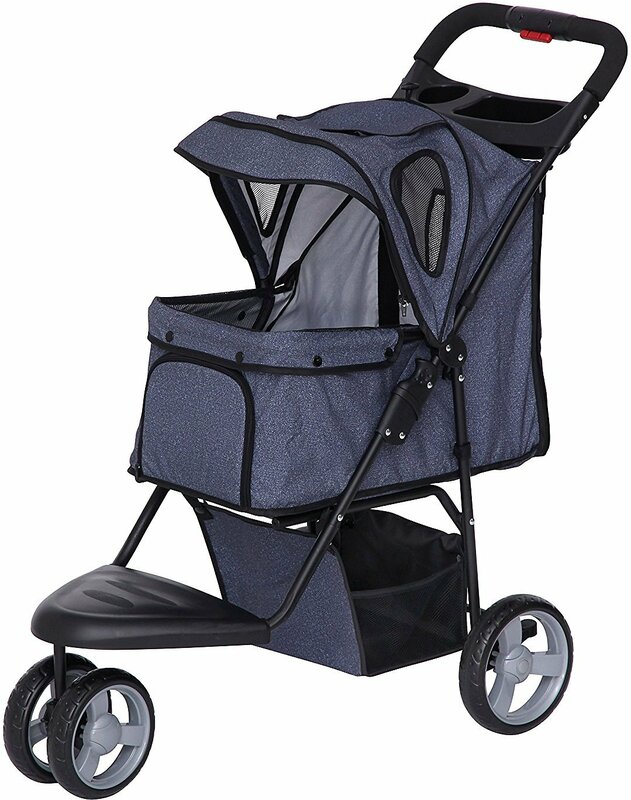 Protects pets up to 17 pounds from the wind, sun or rain with a zippered canopy that retracts to give your pall full visibility. Built with plenty of mesh windows on the front, sides and back to keep your pal cool and breezy wherever you go. It has storage space underneath the carriage for all your doggy essentials and a small bin and cup holder for you to place your phone, keys, bottled water or any other essentials. Features both rear and front entry and parking brakes, so you're set for walks at the park, trail or around your neighborhood. Collapsible design makes it easy to take along and store. The stroller does what I need for a mini doxie. The body is long enough for her without hanging out either end. I love that the front and the back both unzip and expose Bella to the fresh air. She loves that, too. I'm not sure what to do with the bug mesh on the front. The one thing I do not like at all is how difficult it is to fold up. Maybe I will get used to it and it will be easier the more it's done. I love the 3 wheels rather than 4--so much easier to handle. 10 lb poodle seems to enjoy it. The straps that attach to his collar keeps him in place. No crawling around permitted but enough movement to keep him satisfied. Easley folds up for storage. Very light weight and not bulky at all. Love it! I’m picky. Wanted something light weight and inexpensive. Love the denim fabrics, even my husband said he may push it as it looks more sporty than others. $ 42 or $44, I forget.... great price!!! People are selling used ones for more!! I love this stroller for my chocolate Pomeranian. She fits perfectly. It was delivered quickly and just in time for our annual foliage outing to view the Fall colors.